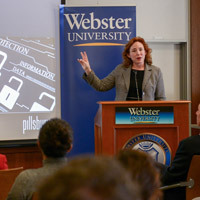 Forbes named Webster one of the top U.S. colleges with branches overseas. 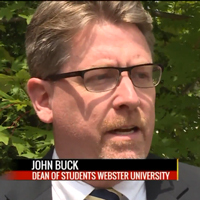 ... John Buck and Anna Dickherber were interviewed on camera for a Fox2 feature on student move-in day. ... J.P. Palmer was interviewed on Fox 2/KPLR 11 regarding the employee impact of the Monsanto-Bayer merger. 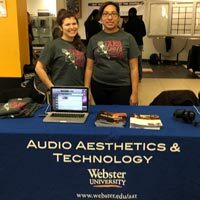 ... Webster Ghana was featured in multiple news outlets for recent community engagement on National Youth Day, investigative journalism, and the #metoo movement. 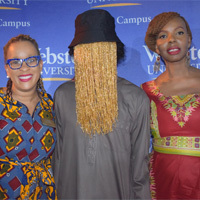 Webster University Ghana and EAA Productions hosted undercover investigative journalist Anas Aremeway Anas for the media summit, "ReImagineGH2018: stories, standards and struggle," on July 19. The summit explored the future of investigative journalism in Ghana, what role investigative journalism plays in Ghanaian/African society and how educational institutions such as Webster Ghana could contribute to the development of investigative journalists through the offering of the Media Communications program. 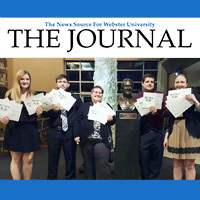 The staff of the Webster University student newspaper, The Journal, received 21 awards from the Missouri College Media Association, including first place Sweepstakes Award in its division of college newspapers. This award acknowledges the most awards won overall. The six other first place awards included best website, news writing, column writing, feature photo, and entertainment and political cartoons.